Cortijo Grande Local Golf Course located just four kilometres from the coast between Turre and Mojácar on the Costa de Almería Local accommodation is available. 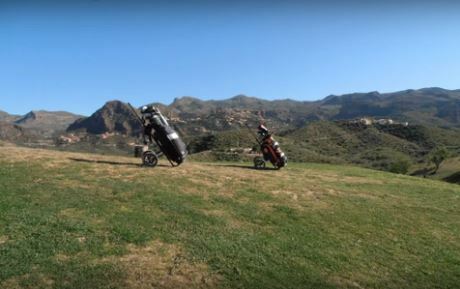 Golfers can fly into the Almería airport 86 kilometres away and will find this local golf course Cortijo Grande located between the towns of Turre and Mojácar. It is a 20 minute drive to the sea from Cortijo Grande, which is actually located at the foot of the Sierra Cabrera mountains. Set in the countryside, 10 minutes’ drive from Mojácar and the coast, Cortijo El Sarmiento – Adults Only features an outdoor pool and air-conditioned rooms with free WiFi. Local golf course close by. Hotel Best Oasis Tropical 4-star hotel. Set overlooking the Mediterranean Sea, 50 metres from Mojácar beach, Hotel Best Oasis Tropical offers rooms with balconies and free WiFi. It features a seasonal outdoor swimming pool and a spa. Local golf course close by. 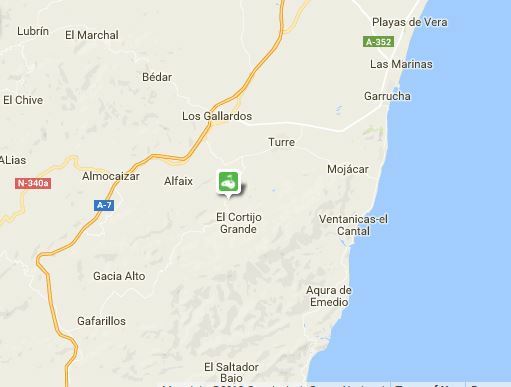 Directions: going from the Almería-Murcia highway, take the exit marked Mojácar-Turre-Garrucha if you are driving from Almería, or the exit posted Los Gallardos-Mojácar-Turre if you are going from Murcia. The course is about 10 kilometres from the coast. Fergus Style Palacio Mojacar **** Spa Adults Only 4-star hotel. Located 5 minutes´ walk from the nearest beach, Fergus Style Palacio Mojacar **** Spa features spacious gardens. The hotel offers a gym, communal outdoor pool and terrace with sun loungers. Local golf course close by. Booked 10 times in the last 48 hours. info covers local towns with local accommodation. info also covers info local days out on the Mediterranean. info with information on gardening in Spain Mediterranean style. With information on cooking Mediterranean style. Spain Info. Cortijo Grande San Francisco De Asis, Urb Marina, San Fulgencio, 03177, Alicante, Spain. 38n21, 0w29.